Another satisfied customer, after having his radio repaired. 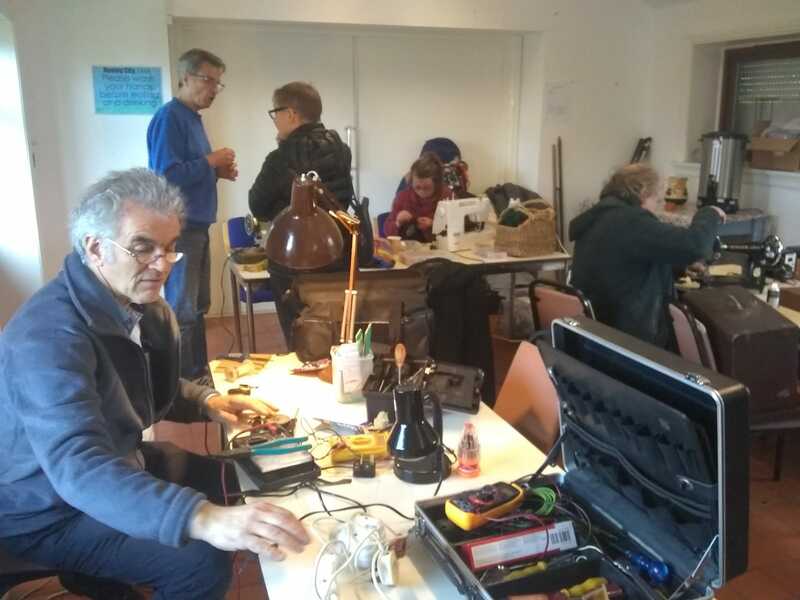 The idea of the Repair Cafe was born in mainland Europe and came to Britain quite recently. In simple terms it’s where people with broken stuff go to get it mended, rather than have to replace it. 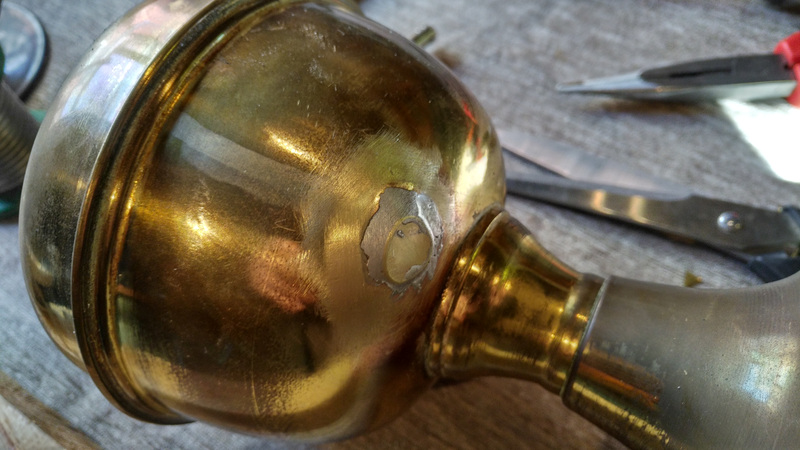 A team of volunteers are on hand to carry out the repairs and show the owner of the item how to repair things for themselves. 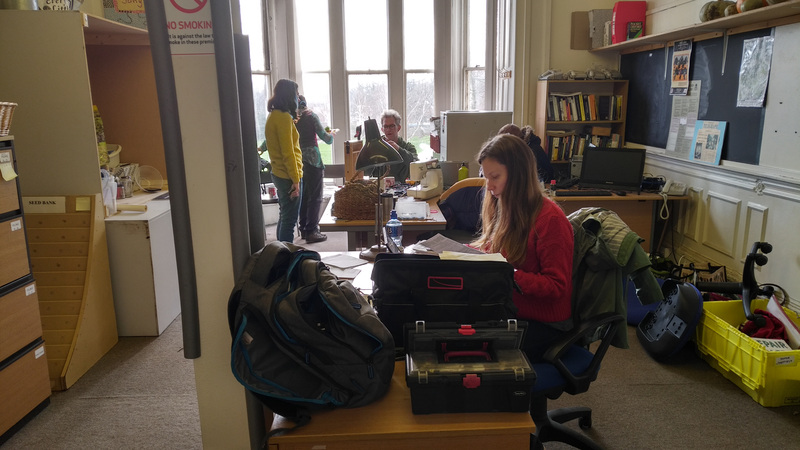 It’s all about sharing good practical knowledge over a cup of coffee and a slice of cake (hence the ‘cafe’ bit), helping the environment by keeping stuff out of landfill and most importantly, saving money. 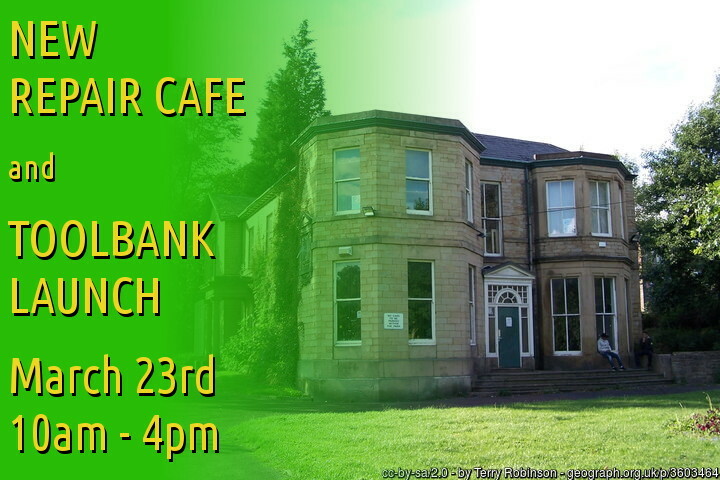 You can take anything along to a Repair Cafe. From computers to carpets, furniture to fine china and old boots to bicycles, we’ve seen (and repaired) it all! To see when and where you can find us next around Sheffield, take a look at our events calendar here. We are also on the lookout for more repairers who can come along and help on the day. We need people who can help with electronics, mechanical things, computers and a million and one other skills. If you’re the sort of person who potters around in the shed, then this is definitely an event for you! We also get quite a few clothes brought in for repair, so anyone who can sew would also be very welcome. Drop us a line using the ‘contact us‘ page for more details. 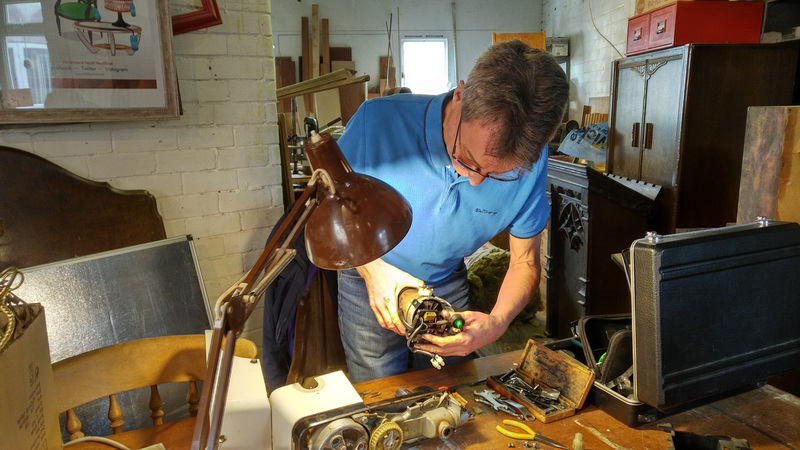 Repairing a clock mechanism at one of our events during 2015.